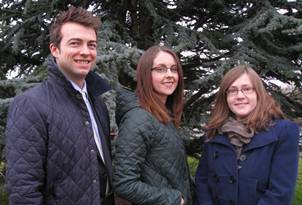 Burnetts has recruited a new solicitor to help manage the growth in its agricultural practice. Whitehaven-born Joanne McKenzie will work full-time as an additional solicitor in the team. A Cumbrian law firm has recruited a new solicitor to help manage the growth in its agricultural practice. Burnetts, which has offices in Carlisle, Penrith and West Cumbria has recruited Whitehaven-born Joanne McKenzie to work full-time as an additional solicitor in its agricultural team. The firm’s agricultural department has tripled in size over the last five years. Joanne, who has been qualified since 2008, has worked exclusively in agricultural law for more than four years and comes to Burnetts from Cartmell Shepherd. She will continue to work with farmers, land owners and estate owners at Burnetts, advising on issues such as buying and selling farms, landlord and tenant issues and farm partnerships. Joanne can be contacted on 01228 552222 or by email at jmc@burnetts.co.uk. She will be based in the Burnetts’ Rosehill Office, adjacent to H&H’s Borderway Mart.